Fearless by name, fearless by nature? It’s always good to hear from a new bike brand – especially a UK based one, so we were intrigued when an email popped into our inbox from Brighton based company, Fearless. Out interest was piqued further when it turned out it had a new gravel bike to promote. Fearless is an independent company based in Brighton, UK that designs bicycles and sells them in limited numbers to passionate and dedicated cyclists. We don’t see the disconnect between cycling disciplines and our products reflect this. Whether it’s road, mountain, cross or tour we strive to make bikes that excel in more than a single niche. Fearless was set up by Tim Cokayne. He became interested in cycling via mountain biking in the early 1990s, taking part in local races and competitive group rides. He’s also completed extensive cycle tours of the US, Asia and Europe. That sounds like just the kind of experience we’d like our bike designers to have. 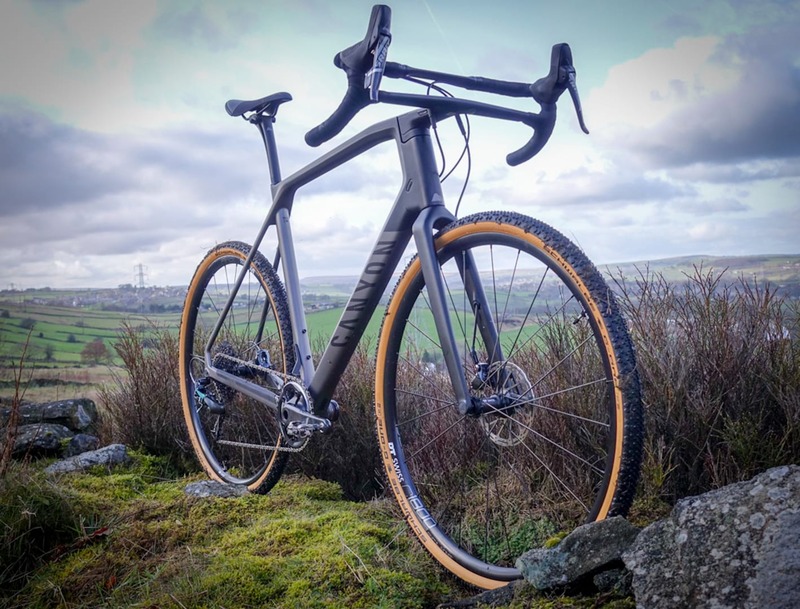 Designed to be a ‘road bike for the dirt’, the Vulture hits the sweet spot between edgy cyclo-cross racer and long distance all-road machine. The Vulture’s wheelbase is shorter than a typical adventure bike so it’s quick handling with a taller stack than a traditional CX bike for longer ride comfort. Looking through the spec list, the Vulture looks to tick most of our boxes. It has big tyre capacity of up to 700c x 45c/29 x 1.75”. Some heavily manipulated chainstays provide enough room at the back to accommodate those high volume tyres while still clearing narrow low Q factor road cranks. A low 70mm bottom bracket and semi-compact geometry gives standover height, and those big tyres should mean the ride isn’t overly harsh. 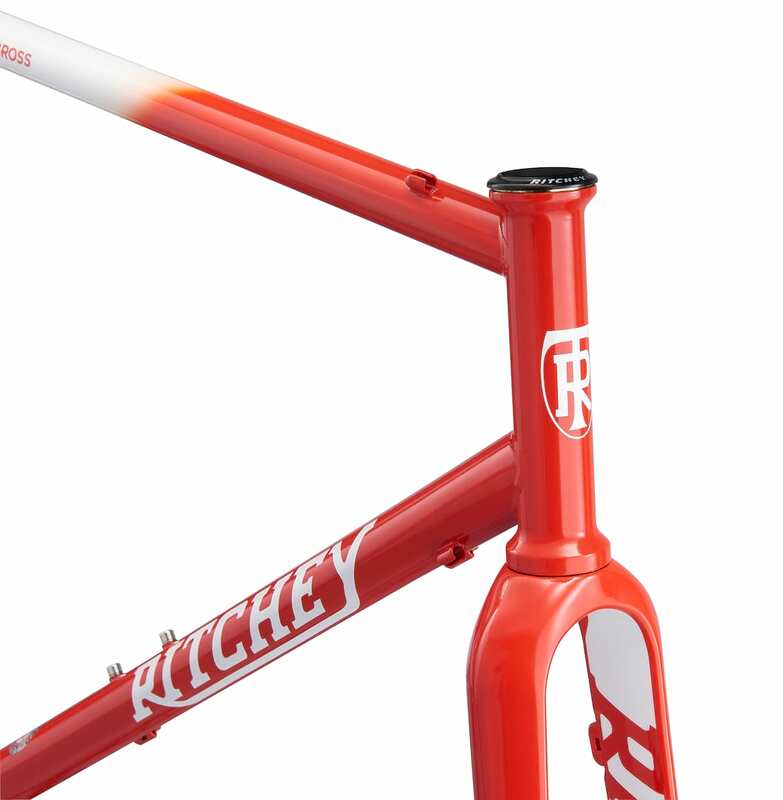 The frame’s main triangle is constructed from Reynolds 725 tubing which are large diameter double butted and heated treated thin walled tubes and the custom drawn 725 down tube is also ovalised at the bottom bracket for lateral stiffness under hard pedalling. Fearless has put some thought into the rear triangle, eventually opting for 4130, mainly to handle the forces applied to the tubing by disc brakes. The company’s thinking is it could have chosen an integrated cast/cut/machined disc mount & dropout and added strength that way, but using such an assembly would negate any weight savings made by using 725 stays. It therefore made sense to use larger diameter 4130 tubes instead. Fearless’s point of view? Basically if tubing will solve the problem then always use tubing as it’s stiffer and lighter. One of Fearless’s primary goals was to make a versatile frame that would come with a steel touring ready fork but would also accept tapered carbon forks without altering the frame’s geometry. To allow this the 404 fork was drawn up with a slightly longer axle to crown length than the norm so when you add the 2-3mm stack height of an internal ‘zero stack’ lower cup it measures the same height as a tapered fork fitted with an external 44mm (S.H.I.S: EC44/40) lower cup. The Vulture will accept a tapered fork with an A/C length of around 394-396mm meaning the Vulture frame is compatible with the latest tapered single piece carbon CX disc and gravel forks. Fearless spec’d the 404 with an offset of 47mm to keep the Vulture nimble when running big tyres. Increased tyre height adds trail, if all other aspects are kept equal, which can make for sluggish handling so the fork has added offset to compensate for this. Both the Vulture’s frame and the 404 forks are E.D coated and finished with tough powder coat paint. The Vulture frame & fork costs £499 including postage within the UK. It is available in both the “Quicksand” and black options pictured. Sizes are small, medium, medium/large and large. Full geometry measurements are available on the Fearless website. We are dead keen to get a test bike in, so keep your eyes peeled on Fresh Grit Friday in coming weeks.